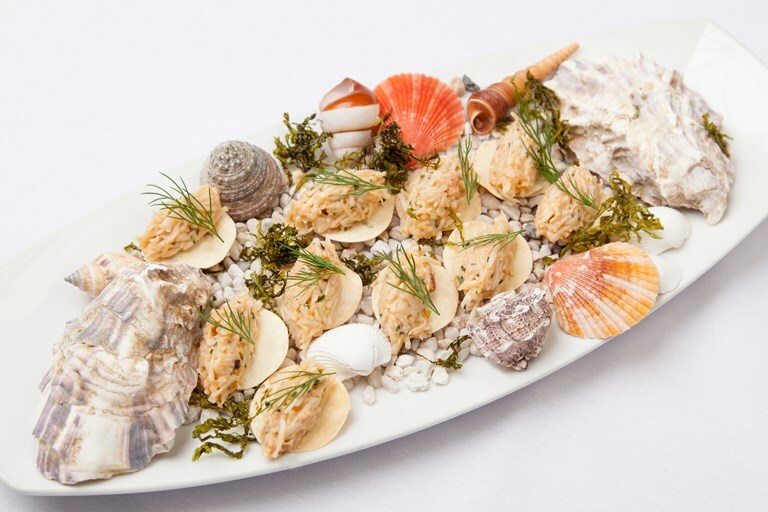 These delicate canapés from Nathan Outlaw showcase the wonderful flavour match of crab with fennel through wafer-thin fennel crackers topped with a lemon and dill crab mayonnaise. Perfect for a special occasion, these take a little preparation but are well worth it. For help preparing a live crab, see our how to cook with crab guide.